DO NOT TRY THIS IF YOU HAVE CONCERNS ABOUT STAINS. Our back porch is stained and the paint washed off nicely. 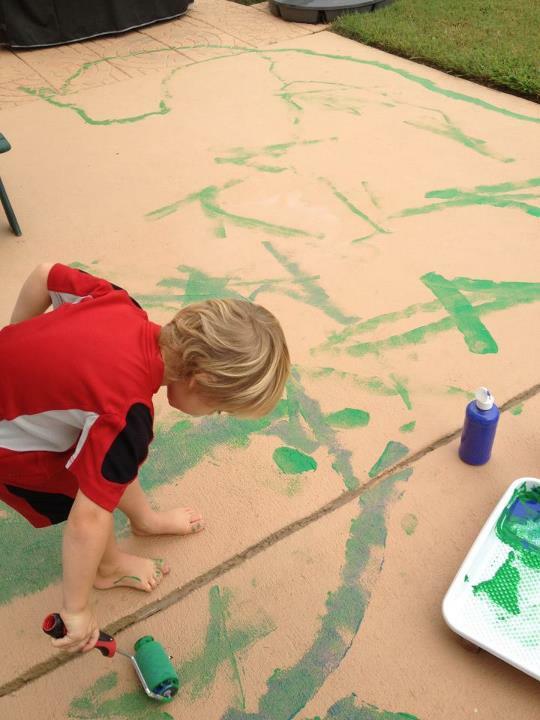 We used a basic washable tempera paint. Today I set up an invitation for him to paint the driveway. It was a huge hit, but didn't wash off as easily. There is a very slight stain, but I'm confident it will fade with time. I would not try this on surfaces that are highly porous. .....and then my camera died. Definitely must try this! Perfect timing too with it finally being sunny and warm! Thanks for sharing! 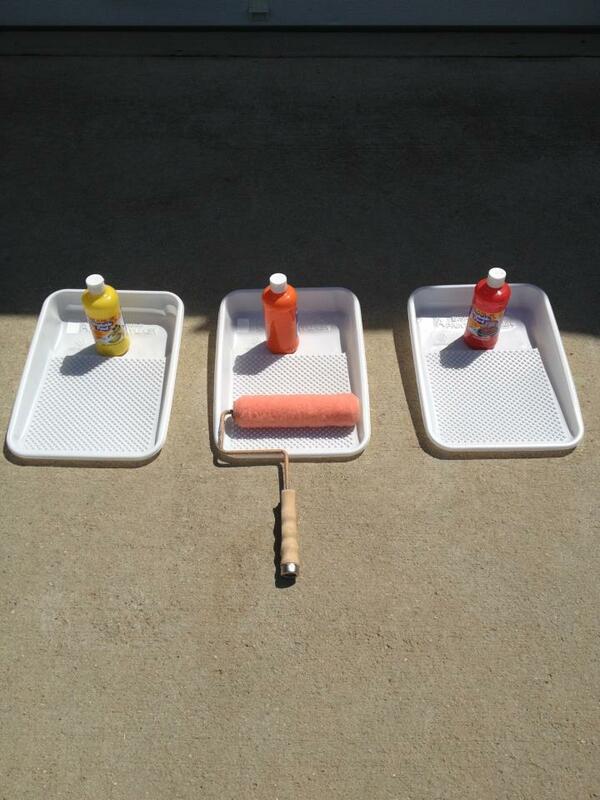 If you are worried about staining, you could make a driveway paint out of cornstarch, water, and food coloring. The kids would love mixing the paint colors up, and it typically washes right off. 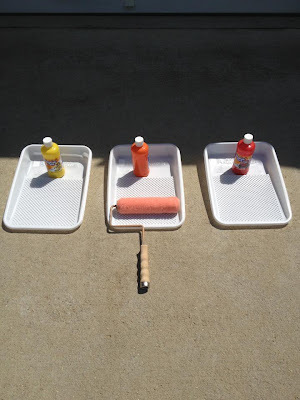 You will want it to mix it up to approximately the consistency of actual paint so the colors will be more vibrant. :) If its too watery the colors don't show as well on the concrete.